Recently Cape town came in to limelight for being the first city close to run out of water. The government put regulations in place in the month of February to force 50 liters supply per person in order to salvage the situation. However, with the current crisis and severe drought since last couple of years, situation will only become worse henceforth. Its not just about Cape town, countries like Brazil, Iran, Cambodia, Madagascar, India, China, Singapore, Qatar & UAE also feature in the list. This is dismal and worrisome news. There cannot be life without water. We can make technological leaps with AI, Astronomy, Medicine & Nuclear science and what not however, can we survive without water? We are spending tons of money developing weapons, fighter jets and ammunition. How much money we are spending to conserve supply of water? What steps are we taking to stop ravaging our planet and its ecosystem? Common people will ask questions. People on the high echelons have not cared and will not care. Mahatma Gandhi once said “be the change you want to see in the world”. We can start with baby steps on our own. Don’t leave the tap open while brushing teeth. Do not keep the shower on when you are applying soap or shampoo. A river is made up of innumerable drops of water so if we save drops, We will have a river. Governments will try to create enemies to shift the narrative and drift focus of the people. Muslims, Jews, Blacks, Whites and if thats not enough than North Korea, Iran, Iraq, Syria, Pakistan and so forth. We have fought enough for oil, will we fight now for potable water? Some of us are fortunate enough to find water every time we open our taps and faucets. There are scores of people all around the world who walk for miles to fill a bucket of water. 844 million people around the world do not have access to water and 2.3 billion people do not have access to toilets. What a world, more people have mobile phones that toilets. 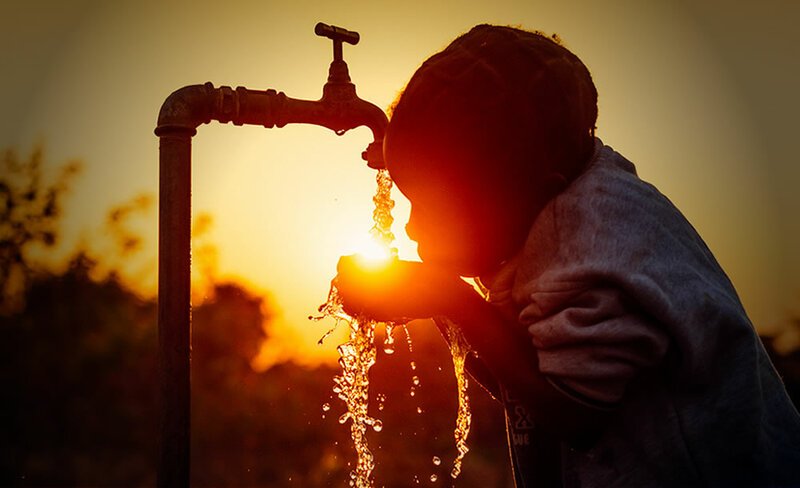 A child dies every 90 seconds due to water related diseases. Statistics are so alarming, less we know, the better. Clean water is a fundamental right of every human being. Try surviving without water for a day. When you get thirsty, The look of the glass full with water is more valuable than gold. Indeed it is. There is no bigger virtue than providing water to the thirsty and feeding the hungry. I am feeling disturbed after watching the below documentary from Pakistan regarding the same. Hope we fix this soon.